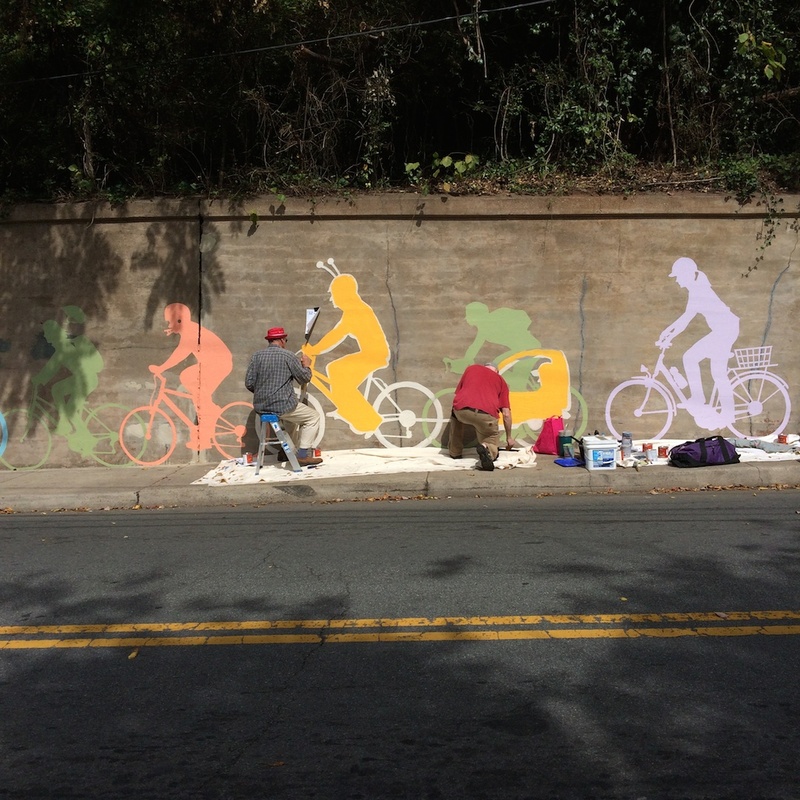 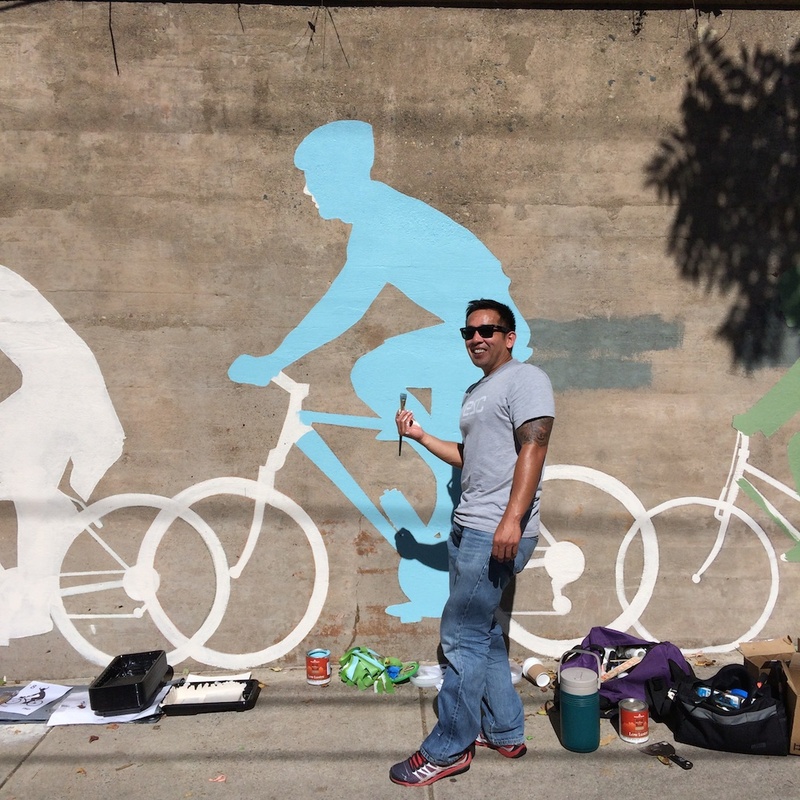 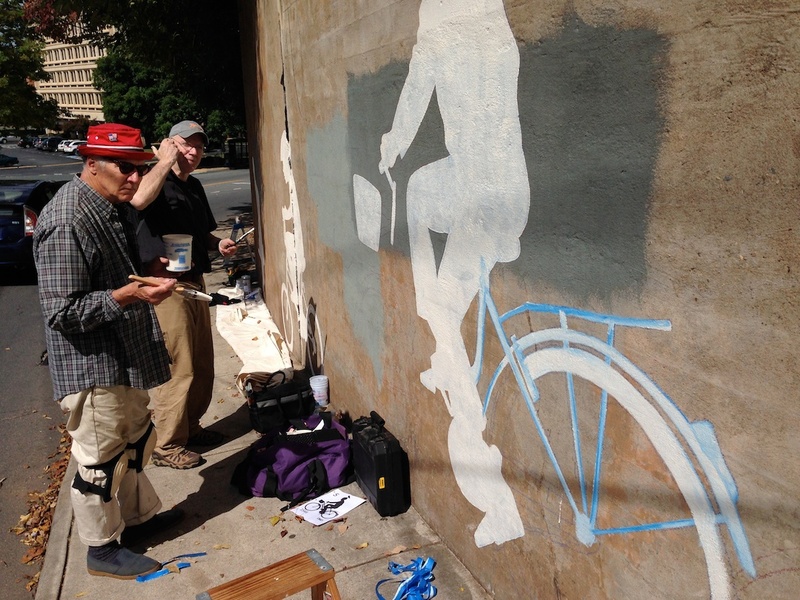 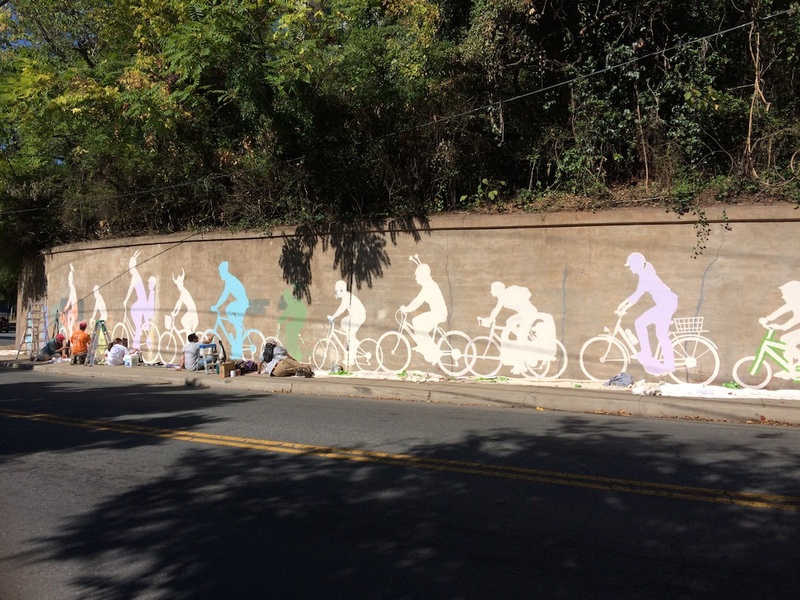 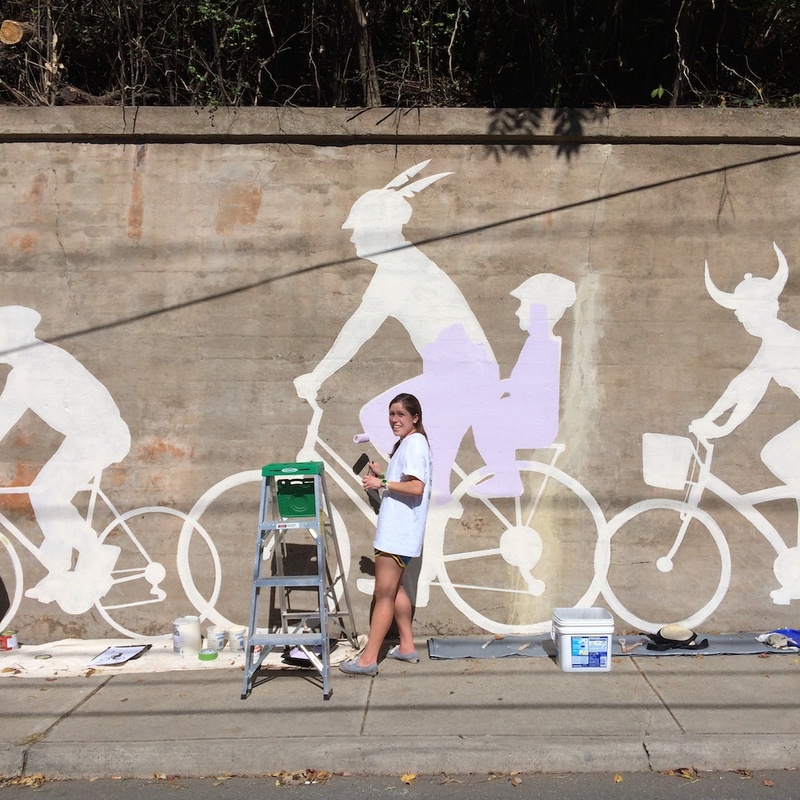 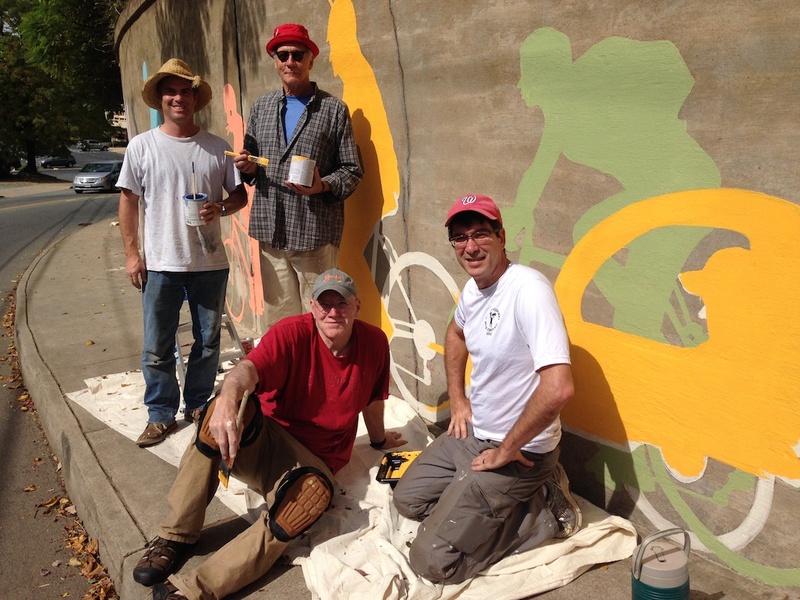 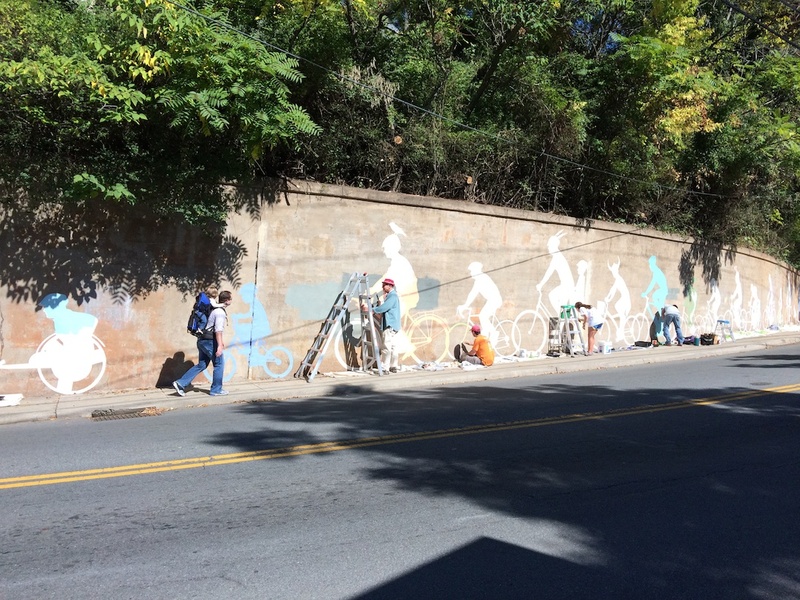 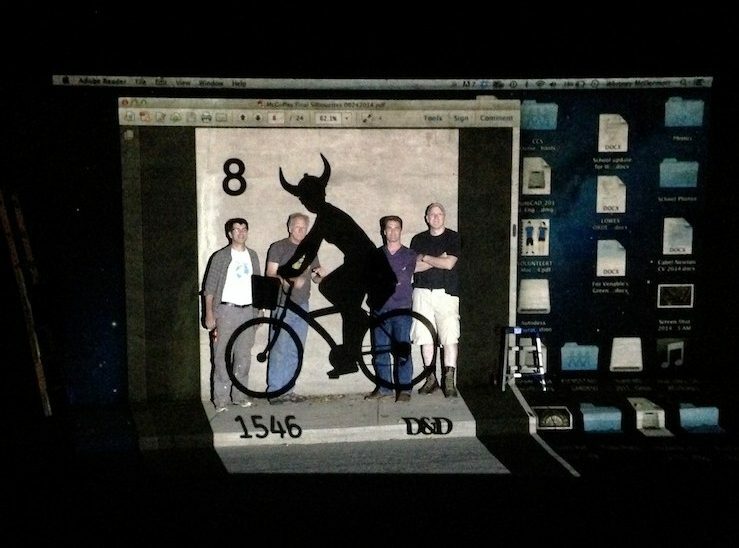 The mural portrays a variety of bicyclists–and assorted companions–rolling downhill along the retaining wall below the McGuffey Art Center as it wraps westward along West Market St. 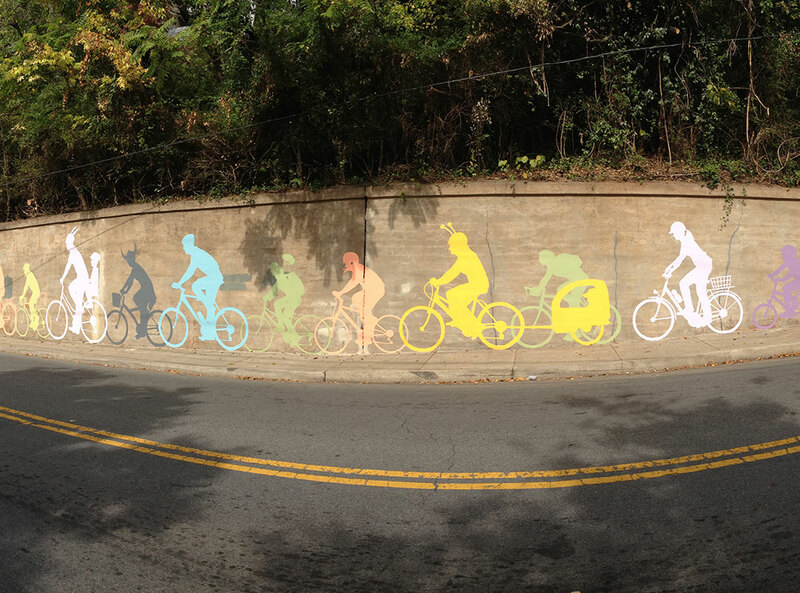 The parade includes 20 figures. 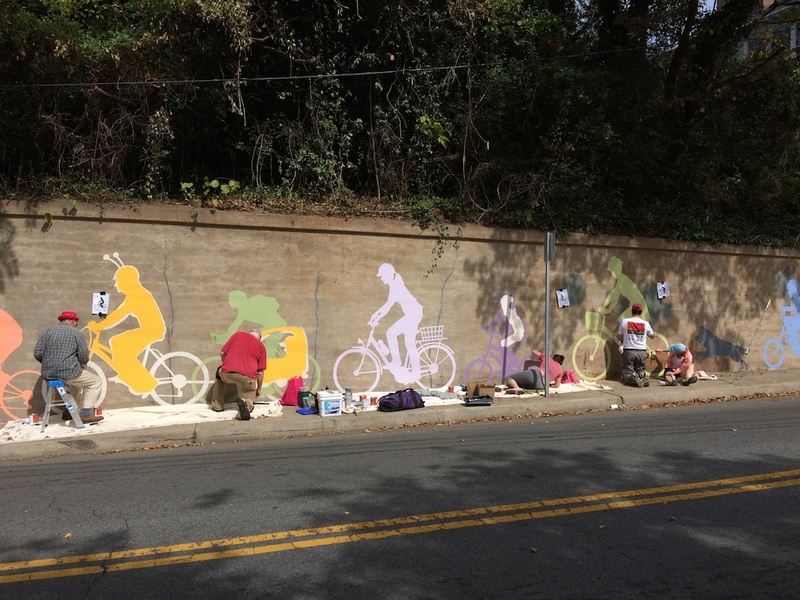 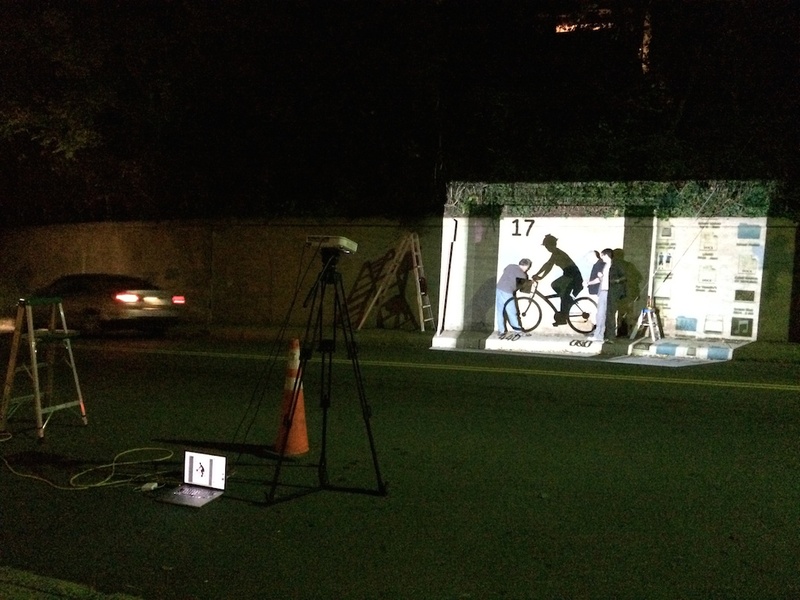 Charlottesville has been recognized as one of “America’s Healthiest Small Cities” but has improvements to make as a bicycle-friendly city. 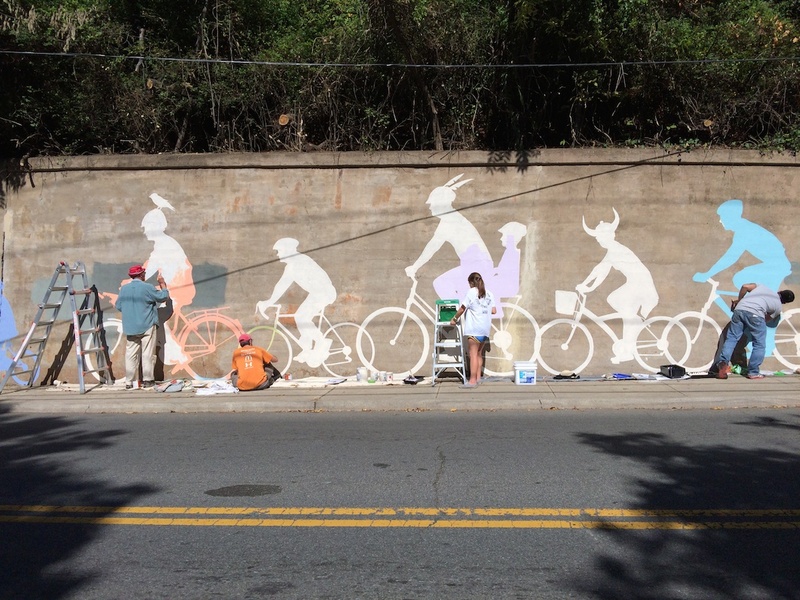 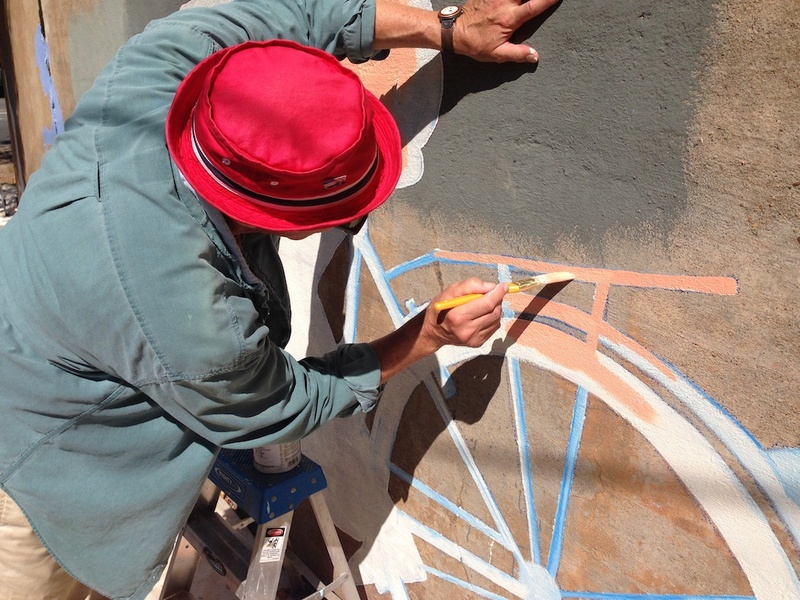 The work was painted to promote the civic message of sharing the streets.